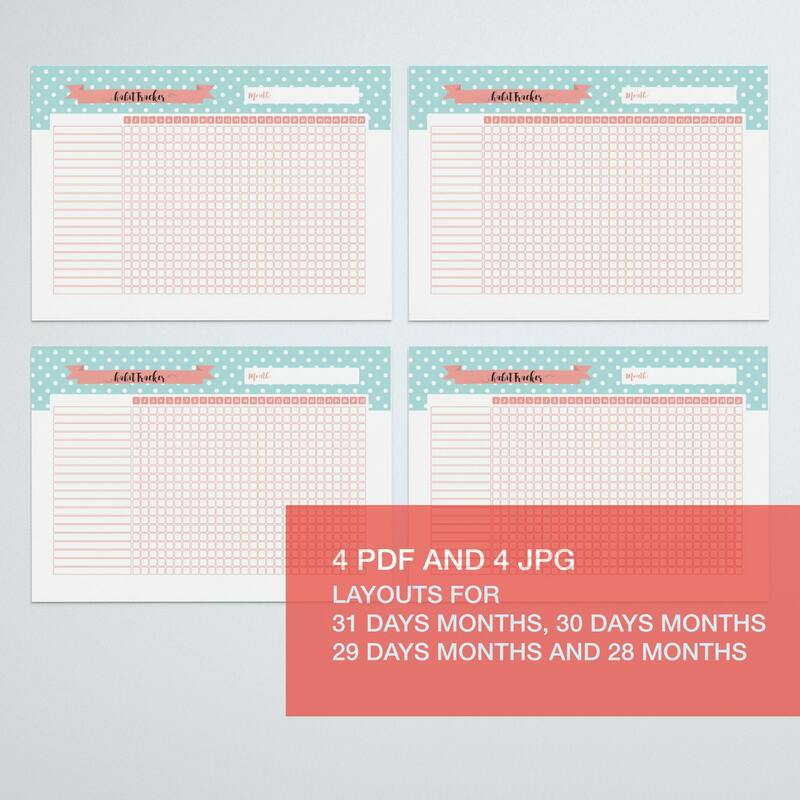 The zip contains 4 different layouts for months of 31, 30, 29 and 28 days, so the tracker is pretty whatever month it is. Of course you won't use the 29 days one for another 4 years, but it's there when you'll need it! 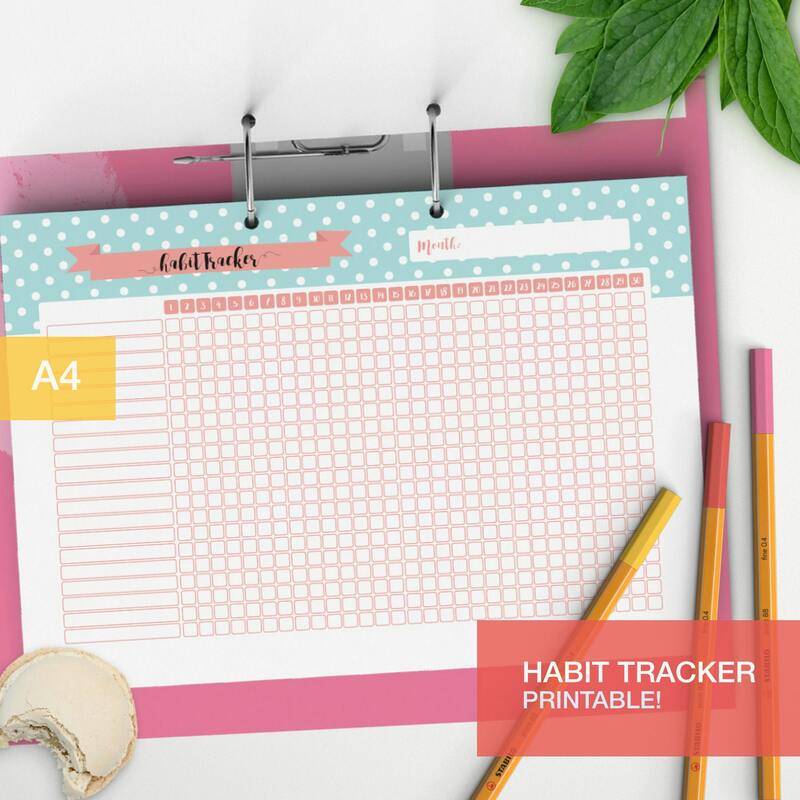 My habit tracker printable looks great and the shop owner even sent both PDF and JPG files. I love it!